Gill Neill, Elgin BID manager. Losing one of Moray’s most important bodies would be a “big blow” for the region, its chief executive believes. The Elgin Business Improvement District (BID) is up for renewal this year and is seeking continued support to keep it going. Since 2010, it has been funded by local businesses and is charged with promoting the town as a great place to visit, work in and live. The organisation has been involved in a number of schemes introduced to make the town a better place including organising popular events such as the Christmas Lights Switch-on and the Elgin Food and Drink Festival. It also launched the Elgin Gift Card, which is accepted by more than 80 businesses, and the introduced the Food and Drink guide to the town, detailing every food offering in the area. And Elgin BID has also been credited with helping to reduce the number of empty retail and business units in the town centre. Business owners will be given a chance to decide if they want Elgin to remain a business improvement district through a ballot that will take place later on this year. 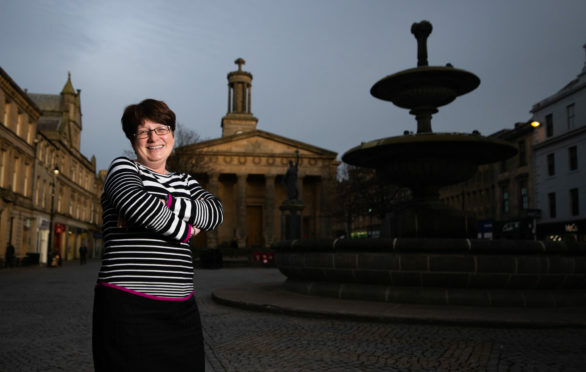 Chief executive Gill Neil hopes for the best when the ballot comes around in Autumn and said she believed the loss of BID would be a “big blow” for the region and would make the town a “much sadder place”. She said: “I personally don’t think Elgin can afford to lose BID. “If you look at the money that has been generated through Elgin BID, it is millions of pounds. “Money like that isn’t easy to come by and there simply isn’t anyone else to work to get it in. “I hope for the sake of the town and the businesses it does go ahead. “I genuinely think that when you look how difficult it has been for some High Streets, it’s where people have banded together and worked together as a team that they tend to have more success. Ms Neil added: “If we are not here, the Christmas lights wouldn’t be here anymore, the street sweeper won’t do the additional stuff. The planters and hanging baskets will go. “There won’t be any marketing for the town. It will all just disappear because there won’t be anyone to take these things on. “There won’t be the event days on in the town, they will all disappear because there won’t be anyone to put them on. Elgin City South councillor John Divers hailed Elgin BID as a success and said he hoped it would continue to work for the community for years to come. He said: “Through Elgin BID, more shops have been brought into the town centre as there was a while when the High Street was on a huge decline but now it is much tidier and they have working in a truly positive way.